My special interest is our community. As a student leader and a community organizer Tahseen Chowdhury has proven his dedication to progressive ideals and progressive principles. He was born and raised in District 13. He understands the community. He knows what the community needs and what the community believes. He understands how to accurately represent the values that the voters believe in. Tahseen did not just grow up in a working class family, he is still a part of the working class family. Often times, politicians enter their community with an ivory tower perspective, but Tahseen does not have anything even remotely close to that. His experience has been that of a normal resident who is motivated to make the community a better place. 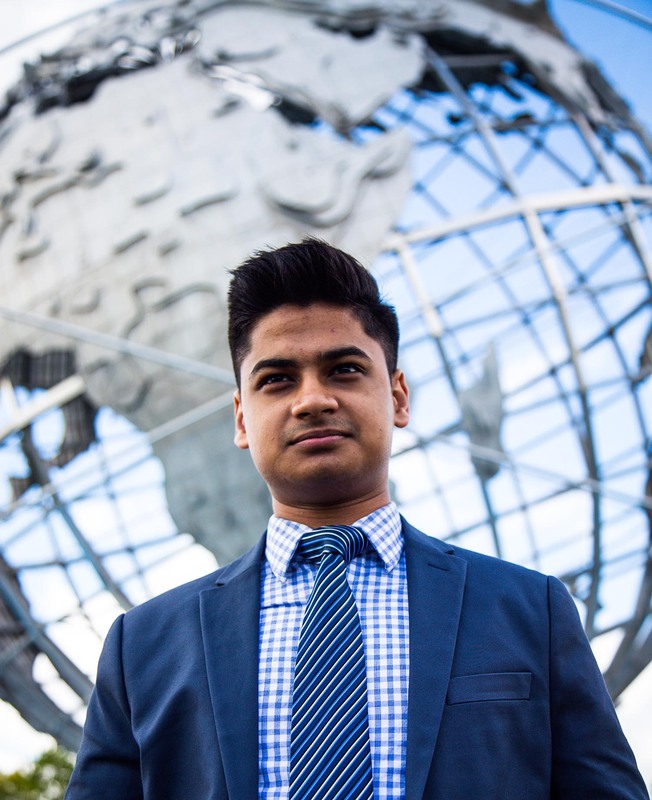 As the Student Union President at Stuyvesant High School and the Manhattan Borough Student President at the NYC Department of Education, Tahseen has done everything from changing different types of school policy through diplomacy to managing and stabilizing a $150k budget for the Student Union. As a community organizer, he’s worked with local organizations to fight for Halal and Kosher lunches in all NYC public schools. He’s also worked with community based non-profits and the Department of Education to work to increase diversity at Specialized High Schools through extensive and well-coordinated awareness campaigns. Born and raised in Queens, Tahseen attended P.S. 127 and P.S. 122. He currently attends and leads Stuyvesant High School as its Student Union President. Tahseen believes that the job of an elected representative is not to be doing whatever is necessary to build a resume for future political ambitions, but instead the job is to accurately represent the constituents and the voters. While his opponents betray their constituents and voters by joining forces with the Republicans in the State Senate, while telling their constituents that they’re doing it to make a change, Tahseen will do whatever is necessary to make sure the voices of his constituents are heard loud and clear. If elected, Tahseen will do his best to ensure that progressive democratic ideals and progressive democratic principles are accurately represented in the State Senate. He has no special interests, and no special political ambitions. He’s a leader you can trust will do everything to make your voice louder and clearer.